The Main Event was the £1,000 No Limit Texas Hold'em Freezeout. The winner stood to gain a handsome £32,800, the runner-up half that and third place half again. Some well-known movers and shakers were present including the consistent Joe Grech and Paul "Action Jack" Jackson (2nd place at the Monte Carlo Millions behind Phil Ivey). The other players were bounced out at a regular rate until the last two, the aforementioned Grech and Jackson, commenced a gargantuan heads-up battle. Paul Jackson had already marshalled a relatively low stack expertly through the elimination process at the final table and now brought his "Monte Carlo/Phil Ivey" experience to bear by holding off the monster stack of Joe Grech during a marathon session. Ultimately, Joe Grech had enough ammunition and claimed the title. As at the Broadway, the Napoleons Main Event was a £1,000 No Limit Texas Hold'em Freezeout. Unfortunately for anyone wanting to have a go at both, they would need a physically-split personality as both overlapped on the same Saturday! So instead we had a North/South divide, with a Southern bias at Birmingham and a Northern one at Sheffield. One such Northern influence comes in the imposing shape of Keith "The Camel" Hawkins, who, back in August, secured first prize at this casino's Summer Festival. This time around, The Camel made the final table again but came up short in 7th. The winner was another "old hand", Simon Nowab, a player with some impressive performances in 2005, including runners-up berths at the Grosvenor UK Open Poker Championship at Luton and the &euro;2,000 World Heads-Up Poker Championship in Barcelona. 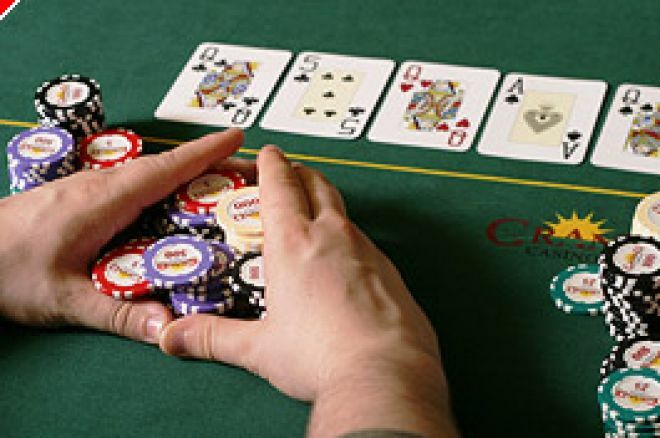 To complete a triad of UK festivals whose Main Events were happening concurrently, last weekend, the Grosvenor at Brighton put on its very first proper festival of poker, which should add a little competition on the Sussex coast for its rival the splendid Rendezvous Casino on the Marina. The Main Event at the Grosvenor couldn't compete with the above-mentioned £1,000 tournaments but the locals could at least do battle for a handy prize approaching £10,000. Congratulations to local player, Mick Clark, who has a decent record in tournaments, on another good payday. More Midlands mayhem can be found currently at Walsall where the festival climax will be the £1,500 Main Event later today (Saturday), sure to include a large number of the UK's leading players. We will sum up the happenings there once they've occurred. There have already been some smaller tournaments preceding the Main Event and UK Poker News would specifically like to congratulate Stuart "Easy Pickings" Rutter on another fine performance winning the £200 No Limit Hold'em Rebuy tournament, pocketing a cool £15,000. Stuart is of course a contributor to UK Poker News so look out for his very own summary of this in the next few days. You might also take a look at his extensive interview in two parts published on this website earlier this month.